Hank Williams, JR followed Removing The Shadow with another duets record with Lois Johnson. Released in 1972, Send Me Some Lovin’ was Hank’s twentieth release for MGM Records. The ten-track album was dominated by Hank’s versions of cover tunes. The title track was originally sung by the likes of Buddy Holly, Little Richard and Otis Redding. The pair transforms the ballad into a solid honky-tonker complete with ample steel guitar and appealing drum work. “Only Daddy That’ll Walk The Line” becomes charmingly playful in their hands, with the pair trading verses, as Hank turns cautionary as the song becomes about her father. The arrangement is faithful to the song, but strong nonetheless. I first came to know “Then You Can Tell Me Goodbye” when Neil McCoy had a version I adored twenty years ago. I soon came to learn the song’s origins date back to Eddy Arnold. Hank and Lois sing beautifully, but the production is horrendous. I hate the early 1970s sheen on the track, which might’ve been hip at the time, but horribly dates the proceedings today. Johnny Paycheck had the original version of “Someone To Give My Love To” before it was covered by the likes of Connie Smith and Tracy Byrd. Hank and Lois had their shot with the song, too, and their version is a lovely and tender ballad that I quite like. “Why Should We Try Anymore” was originally made famous by Hank Sr. Hank and Lois turn in a stunning reading complete with delightful steel and a delicious ache in their voices. The pair also recorded “You’re Gonna Change (Or I’m Gonna Leave)” to similar results. The album as a whole is a delightful affair even if it falls victim to the trappings of early 1970s music. The pair, whom I’d never heard sing together before, are wonderful together. Like a lot of music from this time, Send Me Some Lovin’ isn’t of my era so I’m not terribly familiar with the majority of songs. I really liked what I heard, though, even if I couldn’t really connect with it. Although Waylon Jennings didn’t quite make it to age sixty-five, he led a full and adventurous life, as related in his ‘warts and all” autobiography Waylon Jennings: An Autobiography. Starting out as a protégé of Buddy Holly (but not a member of the Crickets, as some have stated) and working his way thorough musical relationships with Herb Alpert, Bobby Bare, Jessi Colter, Johnny Cash, Chet Atkins, Willie Nelson and countless others, Waylon brought rock and roll sensibility without ever losing or burying the finest traditions of country music. Waylon was first brought to prominence as a band member for Buddy Holly. When Holly died in that famous plane crash sometimes described as ‘the day the music died’, Waylon was racked by guilt as he had been slated to fly on that fateful flight that killed Holly, J.P. ‘Big Bopper” Richardson and Richard Valenzuela (aka Richie Valens) but had given up his seat to the Big Bopper. It took Waylon a while to get his bearings after that but he eventually landed with Herb Alpert, co-founder of A&M Records who produced some recordings on Waylon. While still on A&M, Bobby Bare brought Waylon to the attention of Chet Atkins at RCA and Alpert graciously released Waylon from his A&M contract. I first had heard Waylon Jennings on the radio long before 1968, but the summer of 1968 was the first time I ever had money enough to buy record albums. During the 1960s and early 1970s most artists put out only one or two singles per album, so if you didn’t purchase the albums, the depth of a performer’s artistry could remain hidden. In July of 1968, “Only Daddy That’ll Walk The Line” was released on an unsuspecting radio audience. Tougher and meaner than anything else on the radio, it gave Waylon his first #1 record reaching #1 on Record World’s country chart. The song didn’t quite reach the top on Billboard, reaching #2 for five weeks . The song also coincided with my increased exchequer so when the album Only The Greatest became available, I purchased it, the first of many Waylon Jennings albums I would purchase. Over the course of the next few years, I caught up on his RCA back catalogue and purchased the new albums as they became available. I still listen to those albums today and regard them as his finest endeavors. Our August spotlight artist is the ‘pre-outlaw’ Waylon Jennings. While he didn’t have the raw sound of his stage band on these recordings, Waylon made a bunch of strong albums with rarely a dud track, let alone any dud albums, among them. While the ‘outlaw’ recordings of Waylon Jennings are generally better remembered, what is overlooked is that generally Waylon, like his contemporary Willie Nelson, was not unhappy about the songs he was recording, but about the way the songs were being presented on his recordings. The 1960s were the era of the ‘Nashville Sound’ with its full complement of background singers (usually the Anita Kerr Singers on RCA), orchestral arrangements and RCA’s studio musicians, with resulting records that the artist could not replicate in live performance. 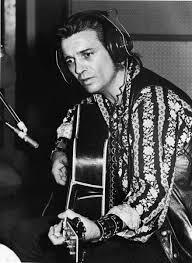 Waylon was rebelling against all of the accoutrements and striving to achieve a more basic and more organic sound. The so-called ‘outlaw movement’ was about the singer having greater control over the music but there was also a strong ‘forward to the past’ element to it. Most people, including my colleagues here at MY KIND OF COUNTRY, will be making their first acquaintance with many of these recordings. I envy them the thrill of discovery they will have upon first encountering these recordings, for in my opinion these recordings are ONLY THE GREATEST. It isn’t terribly difficult to understand why Dean Dillon never became a major recording star; as it has been noted by others several times already, at times he sounds like George Strait and, at other times, Keith Whitley, but he is a decidedly less distinctive vocalist than either of them. He’d also discovered that it was more lucrative to pitch his best material to country music’s heavy hitters, rather than saving them for himself. The combination of a lesser vocalist and less than first-rate material is hardly a formula for success. Nevertheless, none of this means that Dillon’s recordings are not worthwhile; on the contrary, most his albums contain at least a handful of enjoyable tracks. 1991’s Out Of Your Ever Lovin’ Mind is a prime example. Co-produced with Blake Mevis, it was Dillon’s first release for Atlantic Records and his highest-charting solo album, peaking at #58. Because of his close ties with George Strait, Dean Dillon’s name is associated with traditional country music. It is, therefore, somewhat surprising to hear the pop influences that permeate many of the album’s tracks. Synthesized keyboards – which I thought were pretty much out of vogue by 1991 – are quite prominent on many songs, including the opening track “Friday Night’s Woman”, a somewhat dull number that was the collection’s only single to crack the Top 40 (landing at #39), as well as the schmaltzy “Best Love Friends”, which is a Dillon co-write with Buddy Cannon and Vern Gosdin. The saxophone-laced “She Knows What She Wants” sounds like something Dan Seals might have recorded during his “Bop” era. The more traditional “Holed Up In Some Honky Tonk”, which preceded “Friday Night’s Woman” as the album’s first single, draws more comparisons to Keith Whitley but unfortunately every time I listen to it I can’t help thinking that Whitley would have done a much better job with the song. Fortunately, despite getting off to a rocky start, the album does pick up by the fifth track. 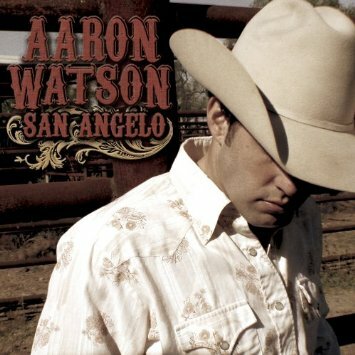 “Holding My Own”, arguably the album’s best track, preceded the better-known George Strait version by a year. It’s a decent effort, but again, the keyboards make the track sound instantly dated. “Don’t You Even (Think About Leaving’)” is a pleasant, though not terribly memorable song that at least doesn’t cause the listener to think about other singers. It was the album’s third and final single, peaking at #62. “Her Thinkin’ I’m Doing Her Wrong (Ain’t Doing Me Right)” is another Keith Whitley type number but unlike “Holed Up In Some Honky Tonk”, it is a great song and it’s a bit surprising that someone else didn’t come along and have a hit with it. “A Country Boy (Who Rolled The Rock Away)” is a surprisingly effective Buddy Holly tribute; “You Must Be Out Of Your Ever Lovin’ Mind” is superior to any of the album’s singles. Out Of Your Ever Lovin’ Mind is not a great album, but it is an above-average effort that recovers nicely after the first three tracks, with a few moments (“Holding My Own”, “Her Thinkin’ I’m Doin’ Her Wrong” and the title track) that approach greatness. There is nothing ground-breaking or earth-shattering here, but it’s worth picking up a cheap copy. In 1988, The O’Kanes followed up their successful debut album with Tired of the Runnin’ which continued their short hot streak on the charts. It would also mark their commercial peak, as a third album, Imagine That, would come without much fanfare in 1990. The first single, “One True Love” would peak just inside the top 5 in 1988. The tune perfectly showcases the duos distinct harmonies and features snarly guitar riffs that recall the California rock sounds of Fleetwood Mac and has echoes of Linda Ronstadt in the drum work. The production works to frame the duo vocally, but the lightness of the lyrical bed ultimately leave the song feeling a tiny bit less than memorable. A much better song than the first single, “Blue Love” succeeds on its sing-a-long melody and fusion of lead guitar and drumbeats. Vocally, it seems, the duo are channeling Buddy Holly and as a package the whole thing works. A third single, “Rocky Road” was also released in 1988 but only managed to peak at #71. That radio ignored the tune isn’t entirely surprising; the nearly seven minute harmonica laced ballad about going down the “rocky road of love” was just out of step enough with the neotraditionalism favored by country radio at the time. But it’s still an outstanding track by all accounts and the folksy production is as delightful to listen to today as it was nearly 25 years ago. The hopeful message is another album standout and a delight to listen to. The catchy melody draws in the listener making them want to hear the song until the end. The funky “Highway 55,” which opens with a distinct plucking of strings, was nothing like I was expecting. I love the overall mood of the track and the harmonies elevate it to a higher level. 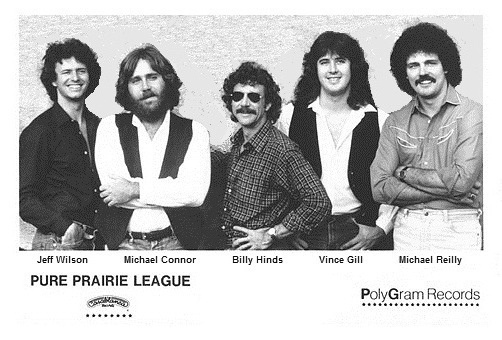 Plus the overall sound is very reminiscent of Nitty Gritty Dirt Band. But in context with the rest of the project, it doesn’t quite work. Much like “Highway 55,” “All My Heart” features a similar funky arrangement but it’s paired with a somewhat haunting vocal. In comparison to the rest of the album the song is a little strange and stands out because of it. It’s safe to say it isn’t one of my favorite songs on the project. Another weird song, “Isn’t That So” has somewhat of a party vibe suggested by what appears to be steel drums in the opening. Like “All My Heart,” this song also doesn’t gel with the rest of the project. The bluegrass heavy title track features a driving melody in sharp contrast to the story of a fatherless boy. The story is quite effective and does a nice of job of outlining the effects of growing up without a father figure. I wasn’t sold on the contrast in lyrics and production at first, but the fast-paced melody succeeds in highlighting the fact this guy is still running his way through life sort of as a vagabond. The album nicely picks up again with “I’m Lonely” which retains the sound featured on the singles. It’s hard to see why this wasn’t released instead of “Rocky Road” as it most likely would’ve extended the duo’s time in the top 10 by at least one more song. All and all Tired of the Runnin’ is an above average collection of music from an underrated duo with a short chart life. I hadn’t heard their music prior to writing this review and liked most of what I heard. Unfortunately the album is out of print, but it’s worth seeking out a copy if you can find it. In these times of un-fulfillment for the country music fan, I’m finding myself turning to my other favorite genres and artists for comfort. The country fan that listens only to country music is rare, even among listeners like me for whom country is by far the primary source for music. My tastes run to the extreme sometimes: from Alice Cooper to Amy Grant and from zydeco to the blues, and a lot in between. I’m certainly not one of those ‘I’ll listen to anything’ fans; my preferences, while eclectic, are strongly defined. And I would think that’s the case with all of us passionate music fans. So, on to my original thought: finding great music outside country’s umbrella when the mainstream – and even the indies – just aren’t doing it for you at the moment. Last Fall, I bought an impulse collection – a 3-CD collection from Linda Ronstadt. I had only heard her own singing a couple of times, but I knew her songs from covers by the likes of Reba McEntire, Trisha Yearwood, and Martina McBride. Terri Clark had a hit with Linda’s ‘Poor, Poor Pitiful Me’ early in her career. Trisha Yearwood, especially, speaks very, very highly of Ronstadt. And I know Hank Williams Jr. once name-checked her in one of his many hits. But Hank Jr. name-checks everybody. But with all that high praise from some of my favorite artists, I figured a bargain Linda Ronstadt collection would be worth my money. After all, with 40 songs, I was bound to find something I liked. Needless to say, like so many others before me, I was instantly drawn to Linda’s really big, really emotive voice. Further listening to her catalog has also shown me that she has an incredible ear for material as well. Linda Ronstadt’s catalog is possibly the most diverse among her contemporaries, and I readily admit that I don’t fully appreciate her forays into jazz and traditional Mexican music, among other styles she’s tackled. However, I do find her to be an able performer of opera, rock, pop, and even country. Linda charted 5 top 10 country singles in the ’70s, along with 3 #1 country albums. That’s a better country track record than a lot of artists, but her real commercial success came in the mid to late ’70s when she was hailed ‘the highest paid woman in Rock’, and the genre’s ‘first lady’. Not many singers or musicians from outside the country world have been as accepted by the country music industry as Ronstadt was. I’ve now acquired a box set and 7 studio albums from Linda. I’m still finding new music to add to my collection these days. Admittedly, a lot of it is only new to me. But I’m also finding that the more new artists that I add to my library lately, the fewer and fewer decidedly country artists I am adding. Linda Ronstadt is just the brightest and best among many new non-country additions to my rotation. And even when I do add a country artist, it seems to be one whose charting days are well behind them. 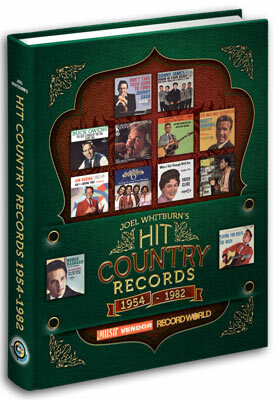 Are you digging deep into the catalogs of country’s older hit-makers? Or, are you seeking out independent music or looking to other genres for your musical fix? ‘Willin’, a real, old-fashioned trucking song, complete with nods to uppers and illegal backroad hauls. ‘It’s So Easy’, a 1977 hit for Ronstadt written by Buddy Holly and Norman Petty.